We just added Bluline Baits as a sponsor this spring. Dave, who runs this company, hand makes jigs, chatterbaits, spinnerbaits, and plastics. We are thrilled to add a small business like this that hand makes everything. Give Dave a call, text, or message through Facebook and he will get back to you right away. ​We recently have added The Catch Company who is the corporate head of Karl's Bait & Tackle, Mystery Tackle Box, BioSpawn, and Gamechanger Lures as a sponsor for the club. We are happy to add a Chicago based company to our list of amazing sponsors!! Our T-shirt order form is open and you can find that in our merchadise section. We have a full stock of sizes S-XXL in. 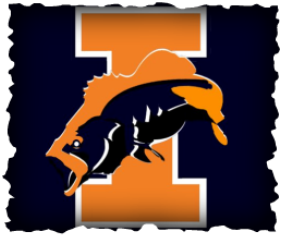 Help support our club by following us on Facebook and Twitter @illinifishing and feel free to contact us any time at fightingillinibassclub@gmail.com. A huge thanks goes out to all of our sponsors, Columbia Sportswear, Dobyns Rods , Lake Fork Trophy Lures, Tacklewarehouse, Pure Fishing, Advantage Bait Company, Spro, Rod Glove, Fishidy The Catch Company, Bluline Baits, and Lews for providing our club with the gear that we need to keep on fishing and competing at a high level, we could not do this without them! AS ALWAYS KEEP ON FISHING! !